Br Blue 50044 speeds through Undy hauling the 1Z50 09:15 Cardiff Central to Paignton GBRF Private Staff Charter on the 21st July 2012. 66720 was on the rear. 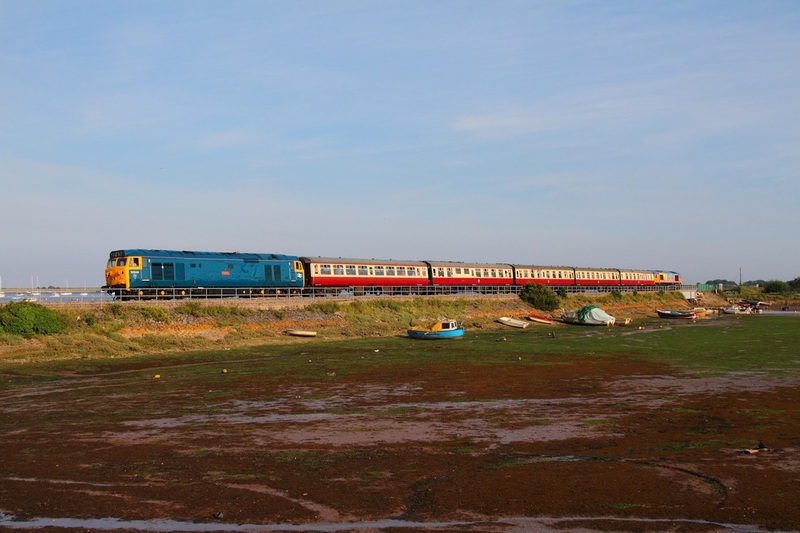 Br Blue 50044 leading 66720 (on the rear) rounds the curve at the famous Langstone Rock, Dawlish hauling the 1Z50 09:15 Cardiff Central to Paignton GBRf private staff-charter on the 21st July 2012. Br Blue 50044 leading 66720 (on the rear) powers up Dainton Bank hauling the 1Z51 Paignton to Plymouth charter on the 21st July 2012. 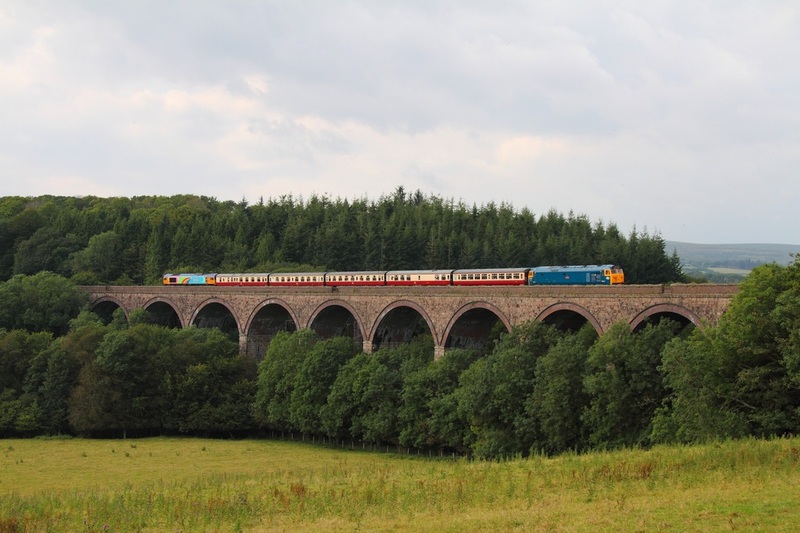 After the train was turned on the Laira triangle and nearly a 3 hour break in Plymouth, Br Blue 50044 leading 66720 (on the rear) crosses Blatchford viaduct, Cornwood hauling the 1Z52 Plymouth to Paignton charter on the 21st July 2012. 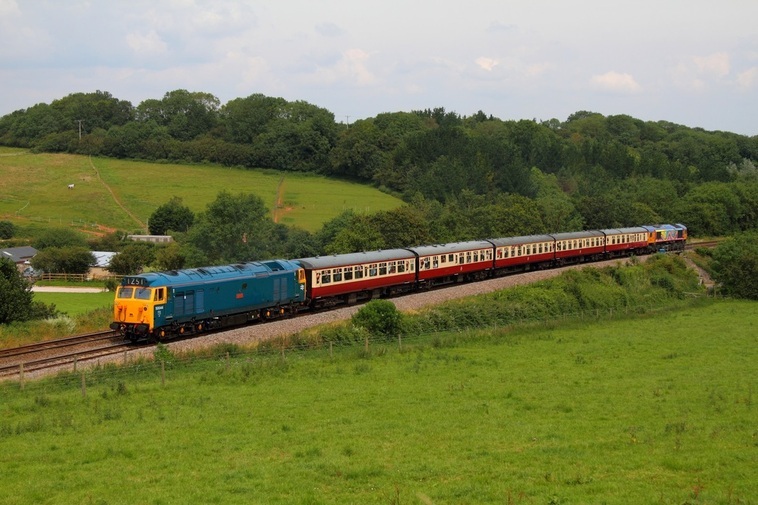 On the 21st July 2012, GBRf operated a private charter for their staff from Cardiff Central to Paignton and return. 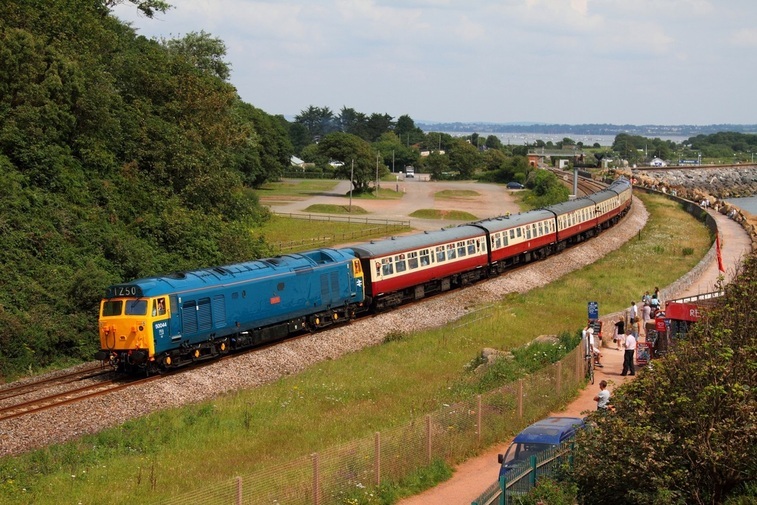 GBRf also operated a railtour from Paignton to Plymouth and return which was open to the public. 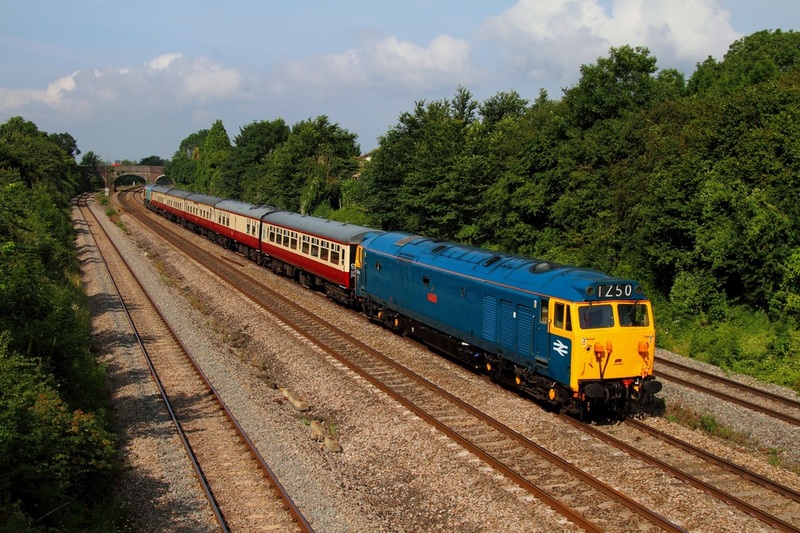 The two locomotives involved were the Fifty Fund's Br Blue 50044 'Exeter' and GBRf's unique rainbow liveried 66720. The '50' performed flawlessly until the return working where unfortunately the loco suffered from overheating which resulted in leaking oil. This meant that the train was diverted via Bristol Parkway to allow 66720 to haul the train to Cardiff as it was better to prevent the '50' from overheating. On the return, D444 looking resplendent hauls the 1Z53 18:15 Paignton to Cardiff Central over Cockwood Harbour near Starcross.